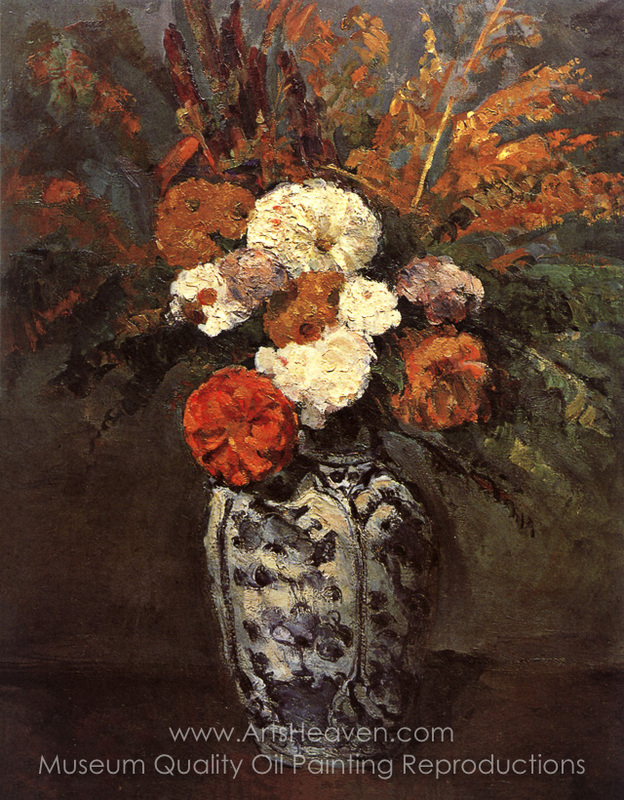 Together with his abundant production of landscapes, Cezanne explores the genre of the still life, in particular those with floral subjects. In them he reveals the influence of Pissarro and shows that he has come into possession of the palette of the Impressionists. As can be seen in this canvas, these are bright, luminous works, with clear, brilliant colors, very different from the colors used in the still lifes of the years before the Franco-Prussian War. They create an atmosphere of joyous serenity and express the happy creativity of the artist, who passes some of the happiest and most carefree years of his life in Auvers. 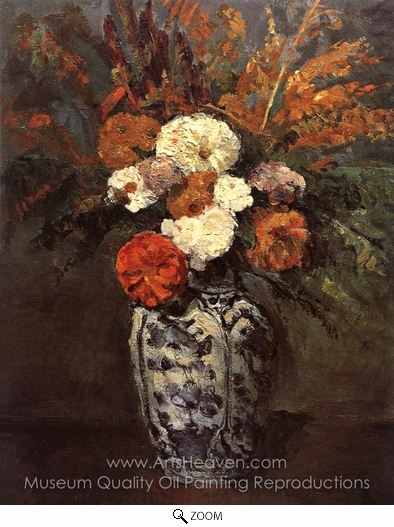 Decorate your home or office with our beautiful museum quality art reproduction of Paul Cézanne Dahlias painting. Why settle for a print, poster, giclee or canvas transfer when you can grace your walls with a genuine oil on canvas painting reproductions for sale at up to 75% below gallery prices. You are commissioning an authentic hand-painted oil painting on quality artists canvas. Painted by professional artists brushstroke-by-brushstroke with attention to all details. Order your Masterpiece today and get Free Shipping to your door direct from our studio.